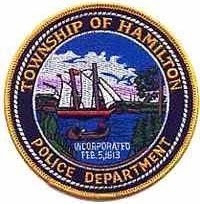 On January 17, 2014 at approximately 6:30 p.m., the Township of Hamilton Police responded to the Hamilton Mall parking lot area for an assault. Investigation revealed that a man and woman had just pulled into the parking area to go shopping. Another man and woman in a light colored Buick pulled in behind them. The unidentified black female of the Buick exited her vehicle and approached the male of the first vehicle. She began striking him with an unknown object. Thats when the driver of the Buick, an unidentified black male, exited his vehicle, brandished another weapon and made threats. The unidentified couple then fled the scene. The male victim was injured and treated at the scene by the Township of Hamilton rescue for minor injuries. The case is under investigation by Ofc. Tribbitt.